I love John Ur's Cinematic Road Trip posts for the way that the films help capture a sense of place—so I was struck by a recent piece in the New York Times which laid out a similar road trip, using Edward Hopper's Cape Cod paintings as a guide. Hopper had a home in Truro, and over the course of 30 years he painted dozens of iconic plein air paintings, often from inside his car. Many of his wide, sun-soaked works were completed at the end of the period in which the heavy tree cover native to the area was cut down to allow settlers to come in. But now the trees grow denser, and so too the developments on the Cape, which causes a continuous struggle between the locals and the vacationing guests. The article both seeks to find places on the Cape which still capture the Hopperesque classic light, and also points out several places from his paintings which still exist. The Times also has a great series of Then and Now renderings of the paintings alongside contemporary photographs of the lighthouses, church spires, and beach shanties which inspired Hopper. 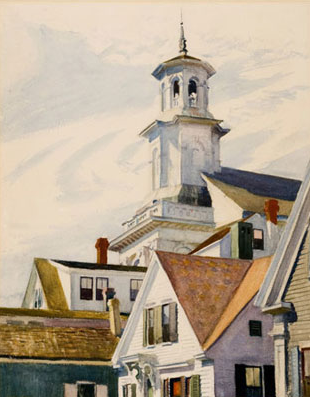 And the Truro Public Library will be showing a collection of works inspired by Hopper all this month. 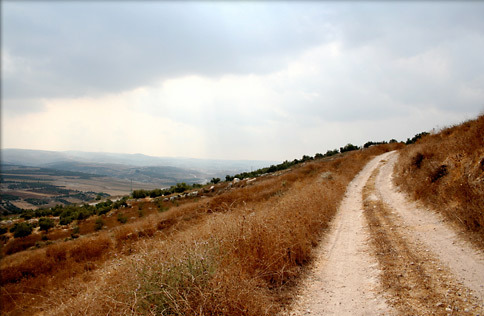 For more Then and Now glimpses of destinations, visit the gallery available on Traveler's website. 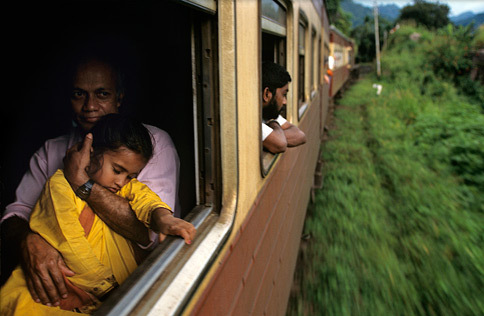 For Theroux, train travel is "probably the best way of getting a glimpse of how people actually live—the back yards, the barns, the hovels, the side roads and slums, the telling facts of village life, the misery that airplanes fly over." His method is to hop a train from one place to another, and then to pause and wander the markets, museums, and back alleys for a few days, meeting random people, sometimes touring with local experts. While this kind of drop-in journalism presents obvious limitations, Theroux is such a honed observer and expert at extricating the telling detail or anecdote that his observations and analyses ring true. Read the full review, along with a bevvy of Venice-inspired tomes, and a collection of other new and noteworthy titles at Traveler's website. Back during my summers home from college, when I worked at a lovely independent bookstore in Westhampton Beach, New York, the store owner and I used to coo over the new items from Chronicle Books when they were first delivered. Though I've moved on from books to magazines, my fondness for Chronicle's quirky sensibility remains. So I was excited to hear from Prêt à Voyager blogger Anne that every Tuesday over at Chronicle's blog, they've been excerpting from their terrific packets of City Walks Deck Series. Each deck offers 50 beautifully-designed cards which demonstrate different ways to explore a city. 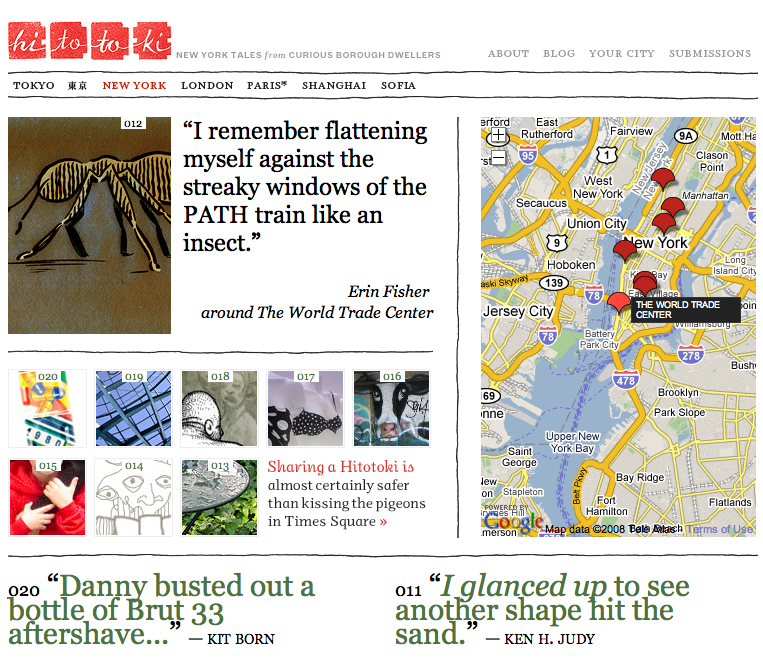 So far they've featured walks in New York (Lower East Side), Barcelona (shops of the Raval), Paris (Jardin des Tuileries with kids), San Francisco (Noe Valley with kids), Chicago (architectural walk), Toronto (West Queen West), and yesterday they featured our own dear city, Washington D.C. (the International Spy Museum with kids). We're looking forward to seeing what else crops up next. The City Walk decks retail for $14.95, and can be purchased through the Chronicle site (or your own favorite independent bookseller). 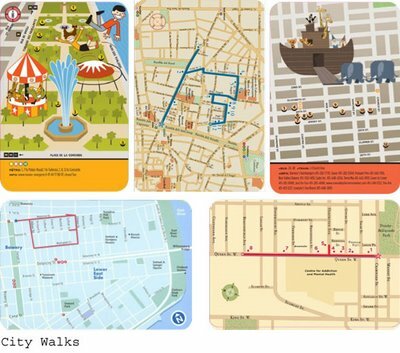 For more walking tours, you can look to Traveler's Places of a Lifetime website, where you can download printable versions of maps to take on your own city walks. 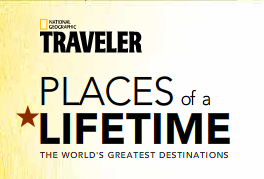 For the past year, in addition to our daily magazine duties, Traveler staffers have been busy working on a huge Web project called Places of a Lifetime. And this week, the last of the 50 cities went live on National Geographic's People and Places website (allowing us to all collectively breathe a sigh of relief). But this is great news for our readers, as the site offers an expansive tour of 50 cities throughout the world. Each city has photo galleries, videos, a quiz, walking tours, best ofs (hotels, restaurants, nightlife, entertainment, must-dos, and festivals), travel and cultural tips, recipes, a shopping guide, local music, movies, and more! It's a perfect primer before heading out, or for inspiring where you'll head next. Please take a look, and spread the word! 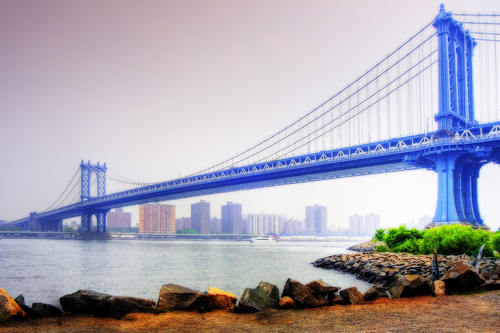 There are a million reasons to go to New York City (other than the fireworks this weekend). The sights, the sounds, the food, the shows. But what if you're looking for something very specific, and a regular street map won't do? Here are a few maps for New York visitors to check out when they have a more precise itinerary for the Big Apple. The New York City Coffee Map has details on where to find the best cup o' joe in the city. Check out the Google map or click on specific neighborhoods for a listing of coffee shops in the area. NewYorkPass.com has an interesting map of the city, which includes museums, theaters and other places of interest. The map is intended for holders of the New York Pass (which, for a certain amount per day, gives free admission and discounts to a plethora of places), and highlights places that give "behind the scenes tours" (like an NBC Studio Tour) for its holders. But even if you don't buy the pass, the map is still a good reference of the city's biggest attractions. The New York subway map is a must for tourists who don't want to look like clueless tourists. Central Park has a great interactive map that highlights the history of the park as well as certain attractions that a visitor might miss when simply strolling through. Of course, no one could go a day in New York City without having to use the restroom. The NYC Public Toilet Map has a detailed map of 250 public restrooms in the city. The foldable, pocket-sized map cost $2 (plus .50 shipping fee) and is a must for parents traveling with children. What maps do you use when getting around New York? 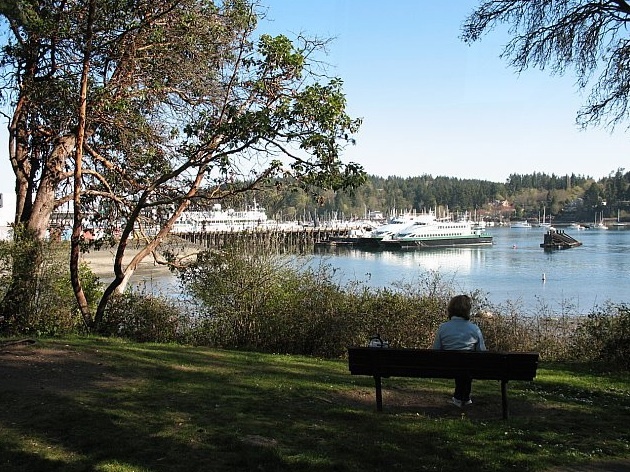 On any given sunny day in Seattle, you'll find a lot of Seattlites venturing to Bainbridge Island, just a 35-minute ferry ride from the city's Pier 52. I headed there for lunch on the only 80-degree day in April, and found more than one place to stop for a tasty treat. When you first exit the ferry and walk to downtown Winslow's main street (called, appropriately, Winslow Way), turn left, which takes you to the heart of the town. On the right side of the street you'll pass Mon Elisa's (450 Winslow Way E; +1 206-780-3233) a small (it's got a table or two) pasta shop that makes delicious sauces and other Italian treats. To avoid claustrophobia, sit at one of their outside tables, or take your dish to go. After another two blocks down you'll come to the Blackbird Bakery (210 Winslow Way E; +1 206-780-1322), an always-busy eatery that serves up delectable items like double chocolate cheesecake and oatmeal craisin pecan cookies. Inside can get noisy (folks are either satisfying their sweet tooth here or at Mora Iced Creamery around the corner), so grab a bench outside for a perfect place to people-watch. Trip Advisor recently released its 2008 Travelers' Choice Destinations Awards, a list of the top 100 destinations worldwide and the top 25 destinations on each major region. My favorite country and adopted home while studying abroad topped the list with two destinations—Milford Sound (the eighth wonder of the world, above) and the adventure capital of the world, Queenstown (Auckland, Wanaka, and Christchurch also rated in the top 50). Just about every New Zealand visitor stops by Queenstown for an adrenaline rush—and for good reason. 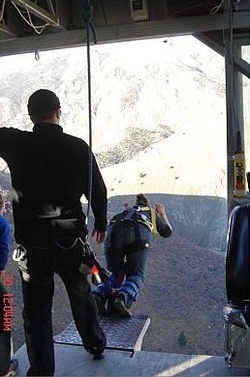 This South Island town is the home of bungee jumping. 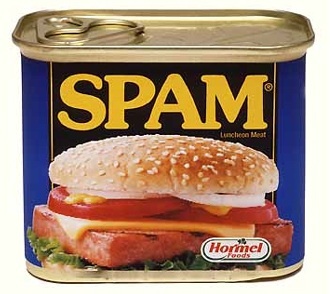 Although the sport did not originate here (it all started on nearby Vanuatu), it was modernized and popularized by Kiwi thrill-seeker and entrepreneur AJ Hackett. He has developed several bungee experiences, including the Nevis Highwire (which my roommate did, pictured right) a 134-meter (440-foot), 8.5-second free-fall, the longest in the Southern Hemisphere. For those who aren't as daring as my adventurous roommate, but still want to soak up New Zealand's beautiful scenery, I suggest heading to Milford Sound. Milford Sound is part of Fiordland National Park (which should be familiar to Lord of the Rings fans), and the home to one of the only alpine parrots in the world, the kea. The park is also located in an area known as Te Wahipounamu (South West New Zealand) and has been a World Heritage site since 1990. Traveler's expert panelists also gave Te Wahipoinamu a score of 80 (the highest in the Australia/New Zealand category) on our World Heritage Destinations Rated list. 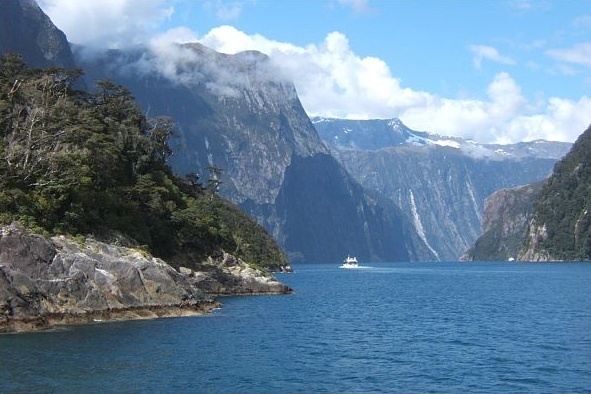 About one million people visit Fiordland each year, which is only accessible via one road. Many tour companies will combine a bus trip (to and from Queenstown—a six-hour drive—or Te Anau) with a two-hour cruise of the sound. I took the Kiwi Experience from Queenstown, and hopped aboard the Milford Sound Red Boats, a cruise line that takes you around the sound and includes a stop at the Milford Deep Underwater Observatory, where we watched all sorts of fish and starfish (lucky visitors might also spot seals swimming nearby). Price for Kiwi Experience is NZ $169 (about US$133, and worth every penny), though prices for other tour companies vary. For a list of Trip Advisor's top 20 destinations worldwide, read on after the jump, or download the entire list at TripAdvisor.com.